Demand for affordable housing, particularly in the one to two-bedroom categories, is fast growing in Dubai where freehold property prices have bottomed out, offering investors and end users “the best time to buy,” a leading developer said. Danube Properties, the property arm of Danube Group, said affordability, quality and return on investment remain key factors driving demand for new properties. 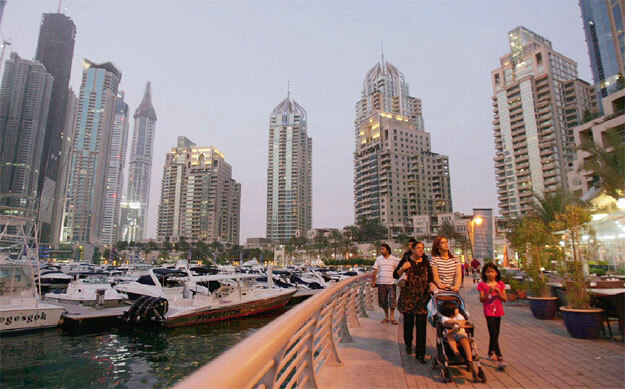 “With prices remaining at the lowest bottom, now is the time to invest in Dubai properties,” said Rizwan Sajan, founder and chairman of Danube Group. He said that the ‘stop renting and start owning’ trend has grown immensely and “we are proud to be the pioneers in affordable housing,” Sajan said at a Press conference. He said 95 per cent of Danube’s recently launched Dh400 million Miraclz project had been sold. He also said that Dubai’s housing sector would see growth in 2017, with more projects coming up to cater to the mid-income segment that has been untapped and has been seeing a lot of transactions lately. With attractive payment plans, the affordable housing market in Dubai, which is currently undersupplied, would see a further growth in demand from mid-income segment, he said. Bollywood actress Sushmita Sen, is the new brand ambassador of Danube Group, along with Anis Sajan, managing director of Danube Group. “Miraclz is a magnificent structure, at an excellent location and we introduced a new brand ambassador for the campaign. We are extremely happy with the response received and looking to introduce new concepts in the affordable housing sector,” Sajan said. He said work on all seven Danube projects, including Dreamz, Glitz 1, 2 and 3, Starz and Glamz, apart from Miraclz are progressing well. “This year, Danube hopes to deliver 851 units and plans to launch new projects worth Dh1 billion.” The total book value of Danube Properties is currently Dh2.2 billion. ?Located at Arjan, next to Miracle Gardens, Miraclz offers a collection of studio, one and two-bedroom fully furnished apartments equipped with modular furniture and a European technology convertible sofa that converts into a full-sized bed at a light pull. Sajan said that Sen would endorse the group’s diverse offerings and is seen as part of the various marketing collaterals.